What a difference five years can make. That’s all one can think when looking at the pictures left by Adel Kermiche on two long abandoned Facebook accounts. “You’re looking too cute”, a girl friend commented on a photograph that showed him at fourteen years old, with a somewhat shy smile and a T-shirt telling: “Nobody is perfect”. It was all very true. 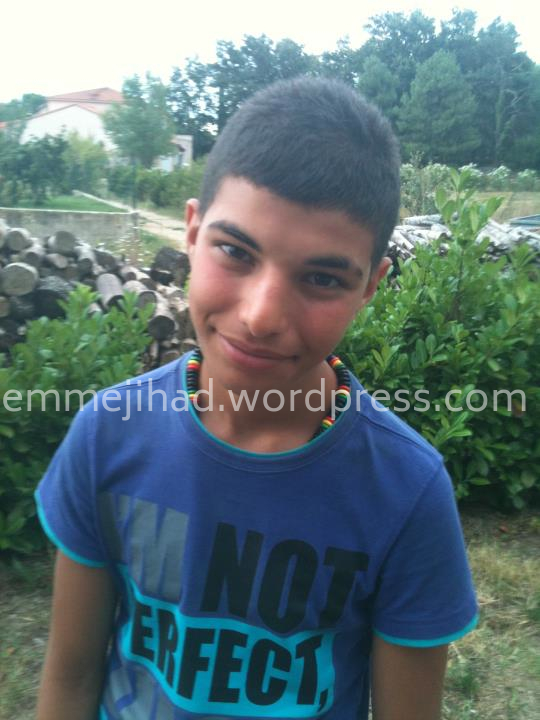 Five years later, that same boy stormed the church in his town of Saint-Etienne-du-Rouvray, took five people hostage, and together with a comrade that he barely knew — Abdelmalik Petitjean — he slaughtered an 85 year old priest in the name of the Islamic State. Below we publish some pictures and posts from the mentioned Facebook accounts — one of which was bearing his true name, while the other was named “Dédél C’qwa Ton Blem” — for the sake of history. As shocking as it may be to see the contrast between then and now, so good is it to realize that almost every terrorist once has been the sweet and dearly beloved child of someone. This is the oldest picture of Kermiche, according to the date it was posted at least. 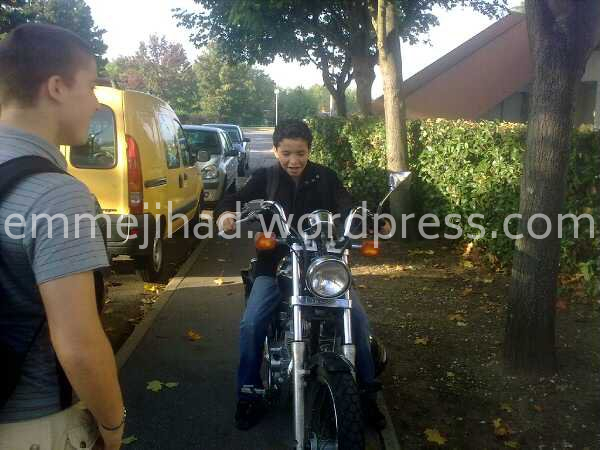 Posing on a motor cycle of a friend apparently, because Kermiche wasn’t old enough himself to drive on October 8, 2010. 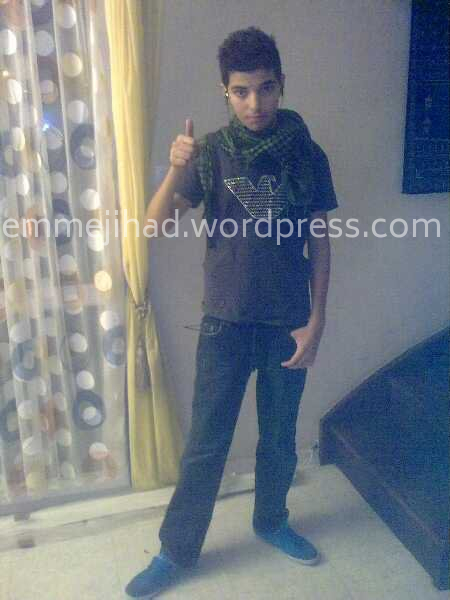 Kermiche posing with keffiyeh and Armani shirt on December 18, 2010. 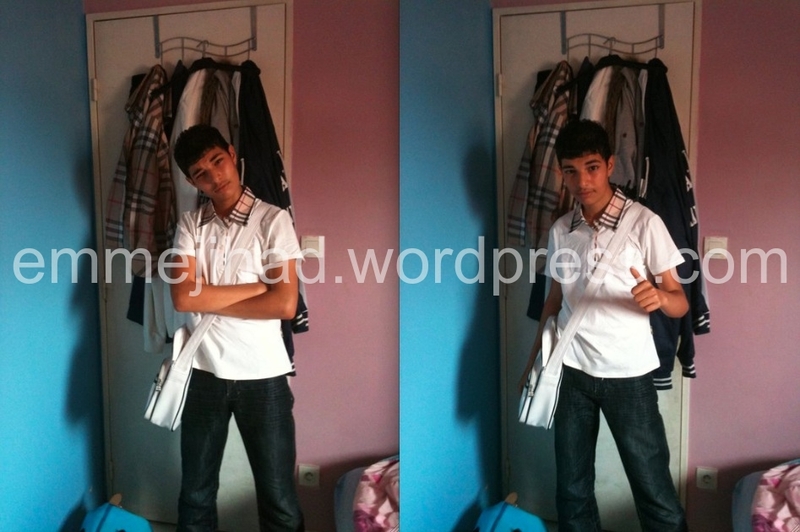 While posting this picture on December 29, 2010, Kermiche asked his friends to vote for him in the contest ‘Mister Facebook Normandie’. 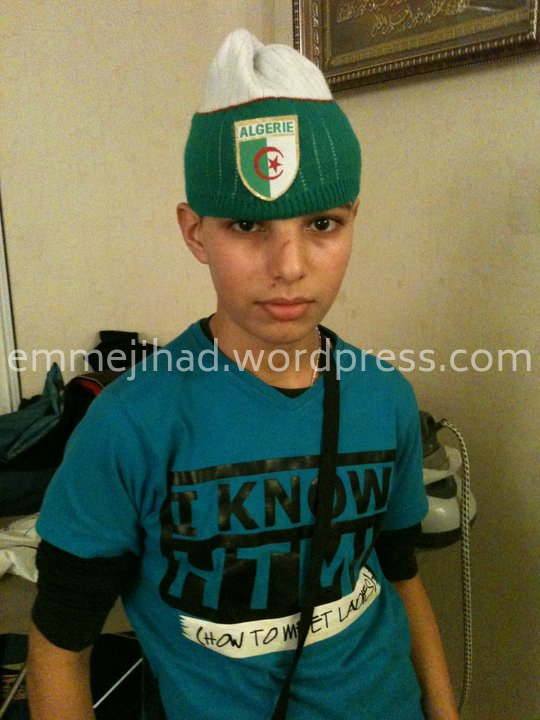 With the flag of Algeria on his cap. Posted on February 5, 2011. He clearly liked to alter his pictures digitally, as can be seen here. All three were posted in 2011 — the first two on his Dédél account, the third on that with his true name. Posing fancily dressed in his bedroom, it seems. Posted on May 8, 2011. 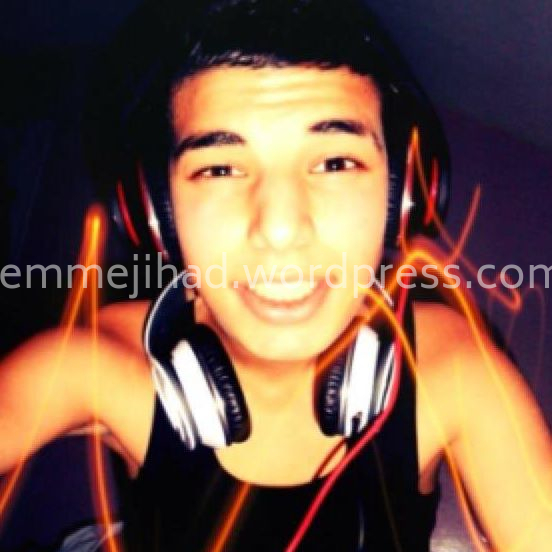 Kermiche did not comment on this picture, posted on August 21, 2011. But a girl friend wrote in French: “You’re looking too cute”, adding a tongue-out emoji. 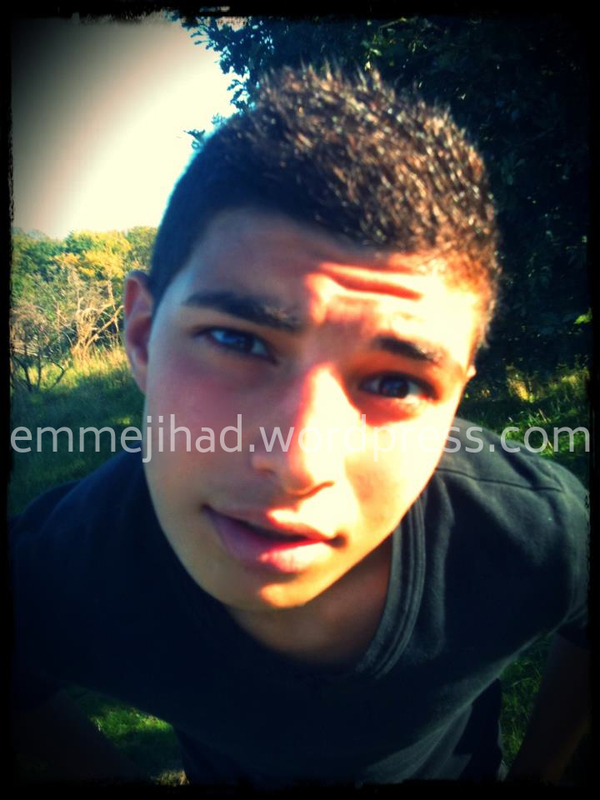 “WAHT’S IM BUTIFUL (=NO=) ?” Kermiche wrote in broken English under this picture, posted on October 15, 2011. “Bang Bang Atitude GiRLS!” was his comment here, written on that same October 15, 2011. This picture was posted on November 28, 2011. “I think I look like Dewey from Malcolm here” he commented with a smiley — referring to the role of American actor Erik Per Sullivan in the television series ‘Malcolm in the Middle’. 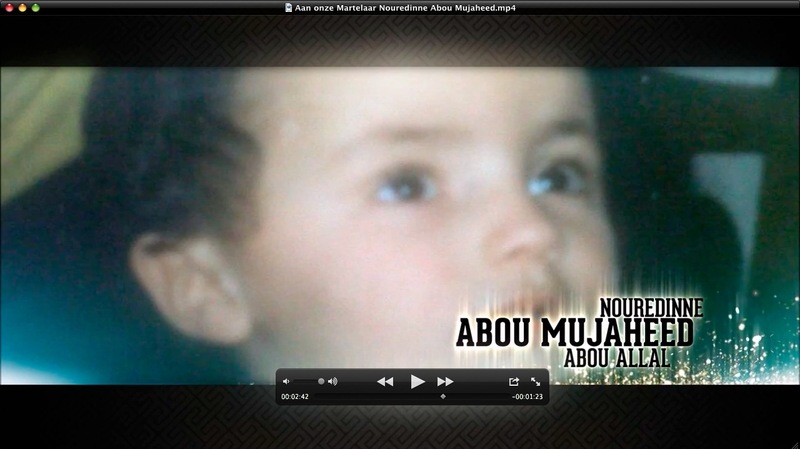 Published already a while ago, this tribute to former Shariah4Belgium leader ‘Abou Mujahid’ contains some unseen images — literally from his childhood to his grave. Please do realise it is showing his dead body too. Reminder: ‘Abou Mujahid’ was killed last summer fighting in Syria. 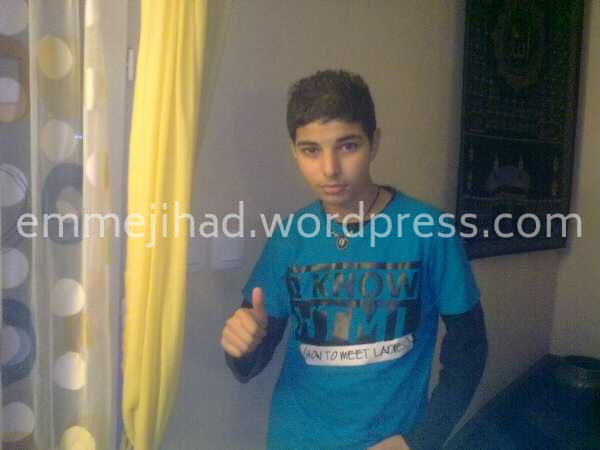 His real name was Noureddine Abouallal and he was one of the three Shariah4Belgium leaders after the arrest of public face Fouad Belkacem — a.k.a. Abu Imran. Originally posted on YouTube by user Nusrah Bil-Jihaad and backed up here. 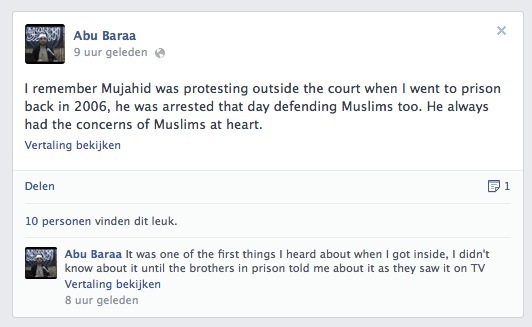 A few hours ago, a eulogy was published in Dutch on the Facebook page ‘Free Aseer Abu Imran’, ran by supporters of ‘Shariah4Belgium’. It’s about Feisal Yamoun from Antwerp, also known as Abu Faris. He was a leader of the extremist organization who died this month in Syria. Here is a quick translation of some excerpts. A few hours ago, a eulogy was published in Dutch on the Facebook page ‘Free Aseer Abu Imran’, ran by supporters of ‘Shariah4Belgium’. It is learning a little bit more about Ahmed Dihaj (32) from Antwerp — a.k.a. Abu Atieq Al-Maghribi — one of the lesser known founders of that extremist organization who died last fall in Syria. Here is a quick translation of some excerpts. Yesterday, a few more details emerged about Abu Baraa al-Jazairi, the Belgian-Algerian emir of the ‘Islamic State in Iraq and Sham’ (ISIS) who has been killed last Wednesday in Saraqib in Syria’s Idlib province. According to that source, Abu Baraa did not hold an official status in ISIS, but he managed the local organization of foreign fighters. “Shortly after his arrival, he started to establish cells in a number of rural areas in the Idlib province and naming others as emirs on top of them.” Reportedly, he was also known as ‘the fox’ for his genius in complex operations and intelligence. Wednesday’s brutal killing of a British soldier in London is proving once again the dangers of the European shariah movement — as I wrote today in Belgium’s largest daily newspaper ‘Het Laatste Nieuws‘. That movement was longtime considered as an annoying but basically harmless phenomenon within the islamist scene. As it was operating fully in the spotlights, nobody thought it ever would be the continent’s main recruiting ground for violent jihad. But now it is. Michael ‘Mujahid’ Adebolajo (28), one of the two perpetrators from Nigerian descent who nearly decapitated and savagely killed Drummer Lee Rigby (25) on a Woolwich street, was a disciple of Anjem Choudary. No doubt — Choudary did confirm that the guy was one of his followers in the movement Al Muhajiroun, and the BBC unearthed video footage showing both men in one single frame during an islamist manifestation in April, 2007. Both Choudary and Rahman are proponents of the European shariah movement with direct links to the Belgian chapter. Choudary was the mentor of Shariah4Belgium’s founder Fouad Belkacem and it is a public secret that Choudary pushed Belkacem to launch the organization in the city of Antwerp and thus expand the British born movement to the European continent. He did visit Shariah4Belgium in person for lectures, as did Rahman. 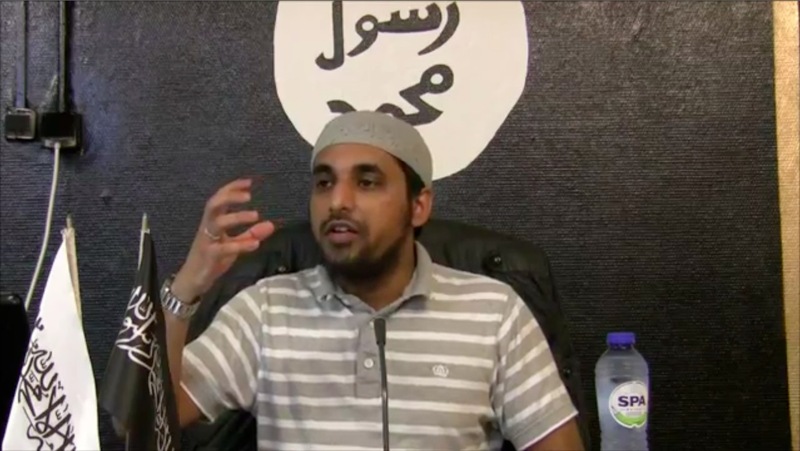 Rahman was four years imprisoned in Britain for inciting to murder — but freely traveled to Antwerp in June 2012 in order to initiate Shariah4Belgium’s members in “Military Tactics”, as his lecture published on YouTube was titled (the video has been removed, but I have it in my archives — see a screenshot here). 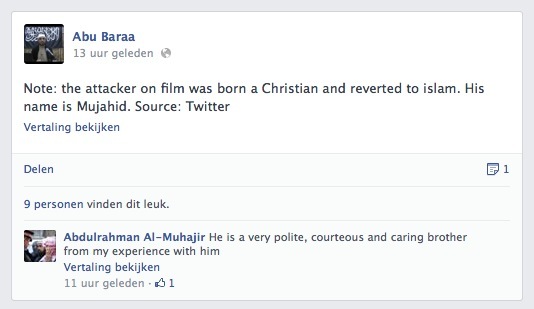 Nowadays, one of Rahman’s Facebook friends is Fakkul Aseer — campaigner in Dutch to “Free Abu Imran”, a reference to Belkacem’s second arrest in short time — and another is the Antwerp neighborhood Borgerhout’s resident who changed his name as I was writing from ‘Ansaar Antwerpen’ to ‘Soufian Soufian’, and is clearly a member of the same scene. The Woolwich attack is a new example of the small scale terrorism that Al Qaeda is promoting nowadays, with perpetrators not necessarily belonging to a well organized network. But they are not as lonely as the often used expression ‘lone wolves’ seems to implicate. They do find encouragement and practical help on the internet — in the notorious magazine ‘Inspire’ for example, that already explicitly called for attacks against soldiers in western countries. ‘Lone wolves’ often find their inspiration in real life too. In groups that cannot be pinpointed as terrorist organizations, though they are not far from that and do facilitate the way towards the real jihad. Such as Shariah4Belgium, with it’s knife wielding follower attacking two police officers in Brussels last year — a case which easily could have been as serious as the Woolwich one. 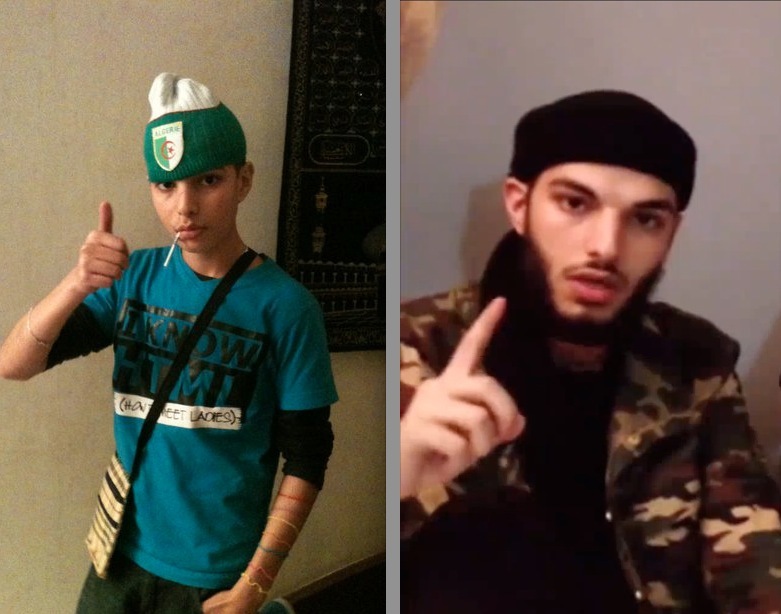 It surely is remarkable how often groups related to and sharing the same dna as Shariah4Belgium, appear to be the circles were lone wolves do come from. That was the case with Mohamed Merah, the French muslim who killed seven people last year — clearly targeting soldiers too. He was at least loosely associated with Forsane Alizza, the French equivalent with personal links towards Shariah4Belgium. It was also the case with Arid Uka, the guy who killed two American soldiers in Frankfurt, and is said to be inspired by ‘Millatu Ibrahim‘, the German sister organization. And now the same can be told about the London attack. For European security services, this new reality is a nightmare. Apart from the difficulties to detect a terrorist plot that is not that organized — as often is highlighted when speaking about the characteristics of ‘lone wolf attacks’ — with this kind of recruiting ground it is also terribly hard to distinguish were bluff and provocations end and real threats start.